Selangor has revoked its controversial water agreement with Putrajaya signed back in September last year, following the federal government’s alleged failure to comply with pre-conditions set out by the state government. Selangor Mentri Besar Azmin Ali said the master agreement signed by his predecessor Tan Sri Khalid Ibrahim could not be carried out as the federal government had already been granted enough time to adhere to Selangor’s conditions. “The master agreement has collapsed. No more. The plan has collapsed,” Azmin told Malay Mail Online when contacted. 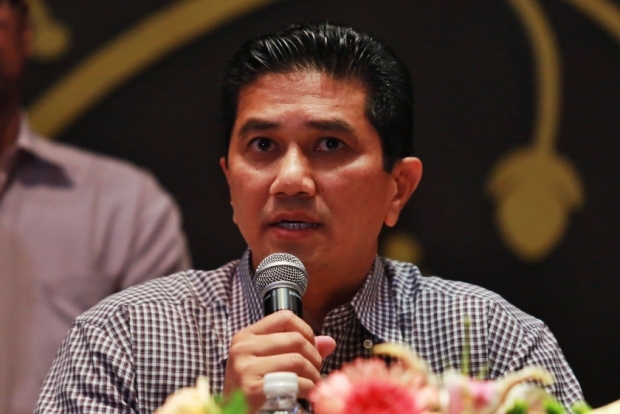 Asked to elaborate on the pre-conditions that Putrajaya had purportedly failed to adhere to, Azmin said he will hold a press conference in Parliament tomorrow. “Two extensions were given previously to the federal government to honour the agreement. One on January 9 and then another extension on February 9 this year. “The federal government wanted another extension today on March 9, but I have said no,” the Selangor MB explained. Earlier in Parliament, Azmin told reporters that the “next move is up to the federal government” now that Selangor has decided to cancel the water deal. “The ball is in their court,” Azmin said. “It’s the same position as the state government’s stand on the Kinrara-Damansara Expressway (Kidex),” he added. The first-term mentri besar had previously demanded that Putrajaya publicly disclose the details of the water agreement as part of his pledge for accountability to Selangor voters. He had said that a full disclosure of the agreement signed by his predecessor and Putrajaya was necessary to justify the possible impact of the deal on consumers. Last year, Energy, Green Technology and Water Minister Datuk Seri Dr Maximus Ongkili said that his ministry would not disclose the contents of the water deal, following legal advice from the Attorney-General’s Chambers (AGC). The water deal was among the given reasons for Khalid’s removal as MB. Azmin previously said he would review the agreement after he took over as the state’s chief executive. Under the water agreement, Selangor was meant to infuse a new special purpose vehicle with RM14.92 billion in assets to manage the water restructuring exercise with Putrajaya. The federal government was also to provide RM2 billion to help offset the state’s cost of taking over the four concessionaires — Syarikat Bekalan Air Selangor Sdn Bhd (Syabas), Puncak Niaga Sdn Bhd, Konsortium Abbas Sdn Bhd and Syarikat Pengeluar Air Selangor Sdn Bhd (SPLASH). In return, Selangor would provide all necessary approvals for the construction of the Langat 2 water treatment plant that it had previously resisted.